We recently partnered with a client whose website had undergone a redesign promising a better-looking layout, and ultimately, higher conversions. The results did not match expectations. 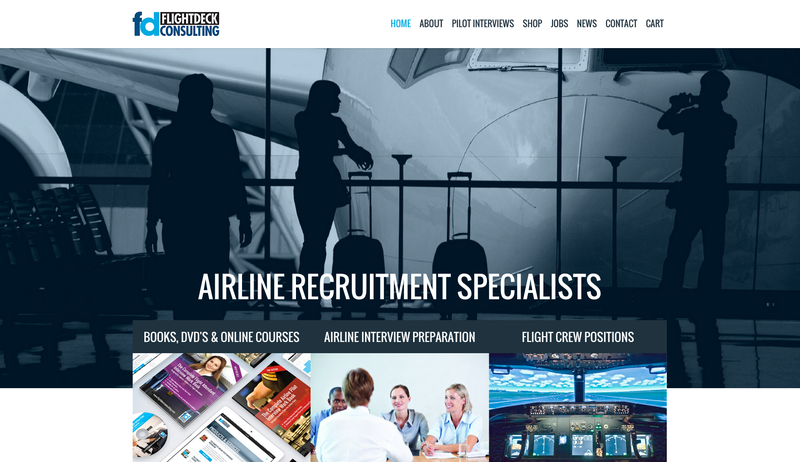 Flightdeck Consulting, which offers online recruitment and coaching services for pilots and flight attendants, went from a consistently well-performing e-commerce site to one losing a significant proportion of sales from its books and courses section. With reduced sales post-launch, Flightdeck partnered with us to (quickly) identify ways to move conversions rates back to the volume they once knew. There are different ways to make changes to a site: small changes made over iteration, total overhauls and something in between. Before committing to one (potentially costly) strategy from which you cannot revert back, ask around and see if other experts in your field would recommend a different tack. Flightdeck engaged an agency who proposed a fairly radical change. With 20/20 hindsight, a third-party opinion may have been worth considering, especially if it were to favour optimisation over total redesign. For Flightdeck, a great thing about their old site was that it welcomed users to identify themselves first and foremost as either flight attendant or pilot. This feature was gone from the new site, and we believe it may have been a key entry point to the sales funnel. The philosophy is to first recognise and preserve the revenue drivers already in play. Review your analytics, commission a third-party review and/or conduct a super-lean round of user testing to identify what customers like best and least about using your site. After that, design with a goal of eliminating the customer’s pain points while ensuring your keep the magic formula in tact. That’s step 1 before even picking up the phone to your design agency or team. Ensure design changes reflect an alignment between your business objectives and what actual customers want and do on your site. For example, Flightdeck’s new design buried the “Shop” within a (long) list of top navigation items. A quick look at analytics shows that customers weren’t buying because they were not beelining to the “Shop” section. Also, some of those navigation items simply did not get trafficked by purchasing customers (if at all). With that evidence, we made a recommendation to cut down the number of navigation items to only those critical the customer’s purchase journey. We recommended streamlining the top navigation to fewer options and returning to an informational architecture that helped the customer self-identify before moving on. However, we’d also recommend testing designs with real customers before implementing them. Redesigns often focus on making things look better. But its #1 goal should be conversion, not aethestics. Upon first glance, the new Flightdeck looked great. Consistent use of font and colours, contemporary look and feel. In reality, the better-looking, more responsive site produced worse results than its predecessor. Because the old site was ‘replaced’ without sufficient investigation of other revenue drivers in customer experience, Flightdeck realised a risk in changing too much – or not changing the right things. Imagine the opposite scenario to the classic ‘big reveal’ that typically accompanies redesigns. Suppose your site could change one thing and then test the results—either with A/B testing (running two designs of a page concurrently and comparing results) or by a very lean round of user testing – before changing the next thing… then you’d get even more clarity about what changes to make, and what elements to keep. That’s not practical for all sites, but many companies are moving more in that direction. Amazon, for example — who remembers the last overhaul of their website? Likely no one because Amazon make incremental changes and test every day throughout the year. For them, optimisation doesn’t look like a revolution — it’s a series of changes that represent continual improvement. Iterations of testing followed by design keeps you close to your customer’s needs and helps ensure your investments of time and money are well spent. With the right tools to first run diagnostics and then test design changes iteratively, you’ll be able to get rid of pain points without harming the main drivers of conversion. Domain experts vs experts in a process: Tips for conducting usability testing with complex products designed for SMEs. Read! Read! Read!…then read some more! Read any document related to the product – the user guide, FAQs, marketing and presales information, reviews, internal documents, manuals etc. The more you know about the product before testing the better. Talk to the experts. Have a SME &/or technical product manager walk you through every aspect of the product. And remember to ask a million questions as they do it (no matter how dumb they may sound). Repeat information back to the client or respondent for clarity. This technique can be incorporated at all stages of the project to ensure you are correctly interpreting and understanding information. Study skills research has shown reiterating information given to you increases comprehension and recall of that information. Be up-front. If you don’t know, acknowledge it up-front to respondents. At the beginning of each session, I highlighted the fact that I was not an IT expert and my technical knowledge of the product was limited. Rather my role as a researcher is to understand how they interact with the product. In return, respondents tended to use simpler words & provided additional explanations when expressing their thoughts, which helped my understanding of the issues. 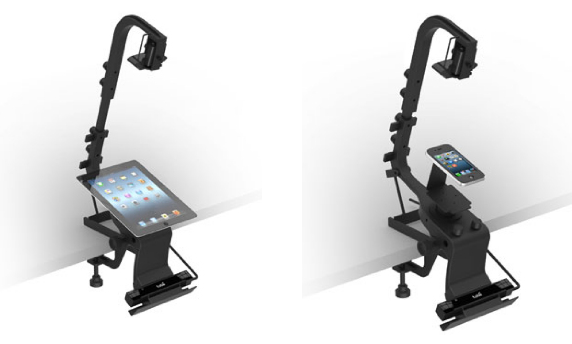 We advise our clients to design for context first, not device. Part of that context is the time of day. A user’s context: Understanding the time of day gives you a sense of potentially where the user is and where their headspace is as well. In simplistic terms, PCs are for work, tablets are for home and mobile is for all the time (don’t tell the boss). Myth busted: This goes counter to the myth that mobile is for people who are “on the go” and are for transactions and way-finding only. The phone is on all the time. Planning content: Whatever content users can see on their PC, they might be expecting it on their mobile or tablet as well – whether they are at work in front of their computer, on the bus back home or in bed right before they turn out the light. Another little insight: see that little peak in PC usage right after midnight? We’re not surprised. 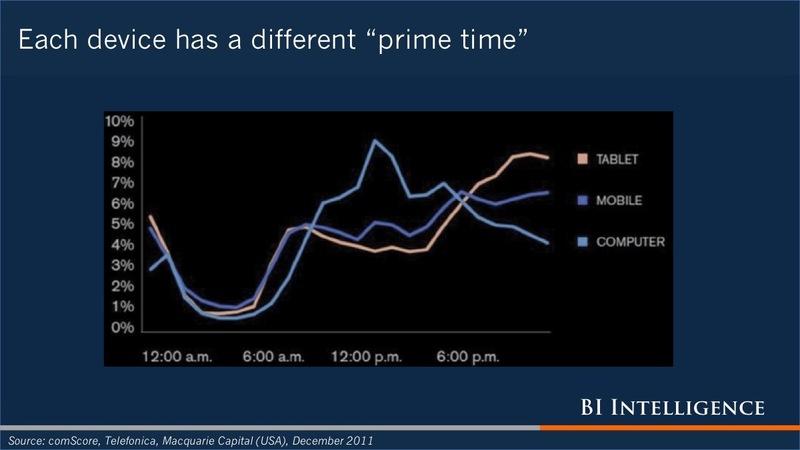 We’ve seen this behaviour when reviewing analytics of e-commerce sites: a lot of users do their online shopping late at night. What this data doesn’t show is how relevant it is for your own site or app. You cannot rely on assumptions or aggregate data to optimise for contexts. You must do the work – reviewing analytics, talking to users, observing their (unreported) behaviour and see what is really going on your website or app – by persona/user, by context, and indeed even by time of day. Of course, we’re here to help you do the work. The Top 5 benefits of a UX review and how to go about it. There are a multitude of ways a service, product, website or app can be reviewed or given a ‘health check’. These vary from expert reviews, heuristic evaluations, competitor analysis, contextual inquiries, usability testing, online surveys and more. Research findings can help validate or squash internal debates or design ideas, and provide direction for long-term business roadmaps and strategic initiatives. Validate your design and strategic roadmaps – Having a UX Review conducted through the lens of your customer is very eye opening. 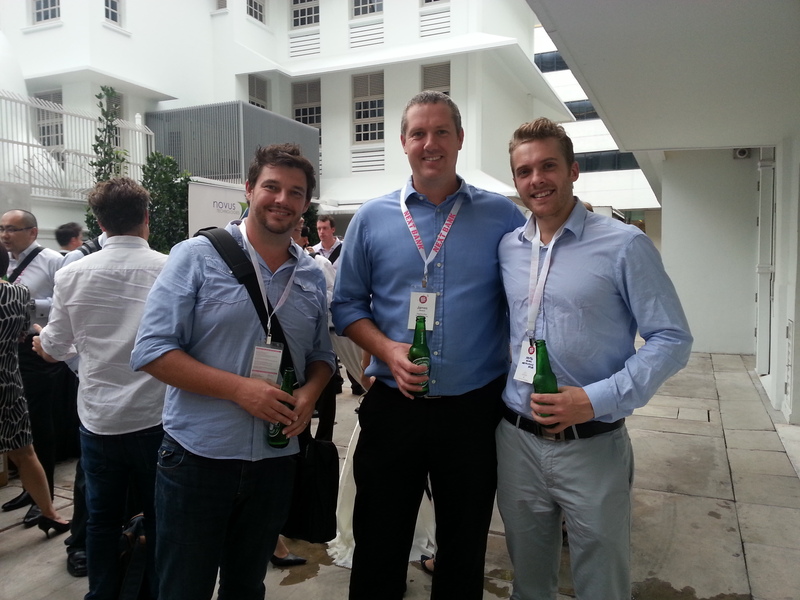 It highlights how your customers use your product and how best to optimise to their needs. Having this 3rd party validation on hand can provide teams with clear direction for iteration, design and development. Further, this research can provide all business units with insights into whether their strategies and roadmaps are aligned with their customer in mind. Increase in ROI (return on investment) – Small problems can lead to big dropouts or customer frustration, potentially costing the business huge amounts of money. Test early and often to iron out these issues and ensure customers can understand and use your product, meaning more click throughs and potentially higher returns. Decreased Bounce Rates – Speaking to your customers in a one-on-one environment can be both insightful and impactful for product teams. Often it’s not only how they use your product during testing, but learning about their motivations and behaviours – uncovering why they leave or bail out rather than complete or convert. These insights provide tangible guidance on how to develop a product which your customers will want to use, refer and return. Gain a Competitive Advantage – Conducting competitor reviews will provide insights on where you stand against your competitors. 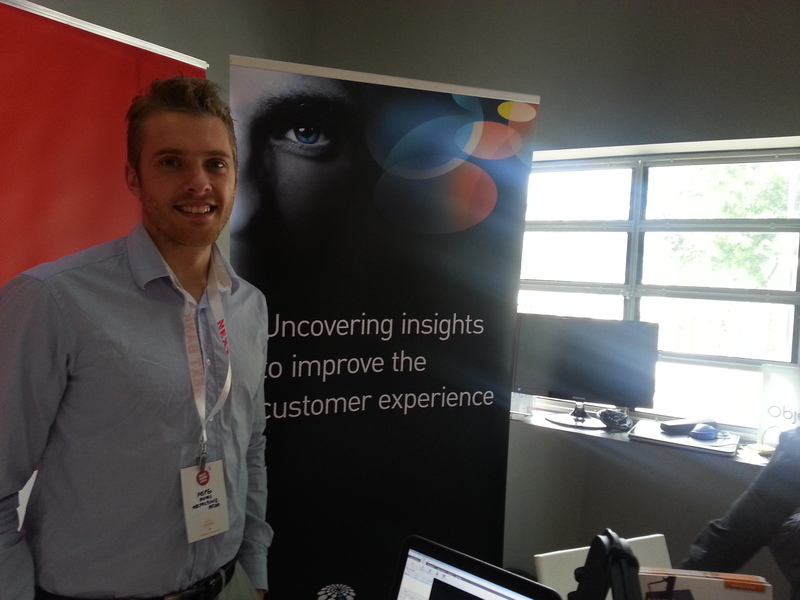 Combined with user testing, a deep understanding of the customer and their needs is obtained. A benchmarking exercise can also be conducted by applying these methods at different stages of product lifecycles, be it your own or your competitors. This is an effective way of measuring your progress over time with hard metrics and feature developments. Quick Wins with Low Cost – Whilst thorough research and user testing can provide deep understanding of your customers, an expert review is a fast and cost effective activity which, within 2-3 days can identify both fundamental issues as well as ‘quick fixes’ around possible user pain points and usability issues. These ‘quick fixes’ can be assessed and implemented in shorter turn around times if bigger, more robust re-designs are not part of the development strategy or pending release date. The approaches mentioned can help a product once it’s in the market. However, the customer should always be involved in the end to end design process to ensure your product is offering maximum value. For a Free 1 Day UX Review on the Top 5 Quick Wins for your App or Website please contact me for more information. This month, I was fortunate enough to work with the National Relay Service (NRS) on a prototype of their new mobile application. The NRS is an Australian-wide telephone service for people who are deaf or have a hearing or speech impairment. One example is the video relay service that allows culturally deaf people to use their own language – Auslan (Australian Sign Language) – to make a call to a hearing person. Talking to people is what I enjoy most about my job. However, getting the opportunity to talk with people who are deaf or have a hearing or speech impairment was a real highlight. I was fascinated watching these individuals and interpreters communicate in sign language. I even learnt a bit of Auslan myself. It inspires me to see and hear how these people navigate the world. Things we take for granted – booking a hair appointment, calling the bank, organising a taxi – takes considerable planning by the individual. It was amazing to work with the NRS team to build a mobile app that gives NRS customers the opportunity to communicate in ways we take for granted. The use of mobiles is continuing to grow, yet we still see a significant amount of online forms and applications that still make it hard for users to quickly and easily complete forms. Let’s face it, no-one really enjoys filling out an online form, so here a few tips to help reduce errors and increase form efficiency. 1. 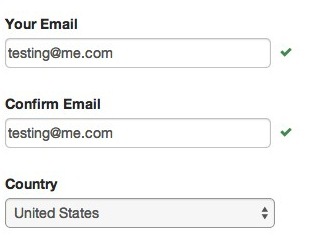 Inline Validation – Provides real time feedback as users enter data on individual form fields. Once focus is removed from each field a notification, generally a small green check mark next to the field is displayed. 2. Specify Input type By specifying input type you restrict input to only the required input format. For e.g. 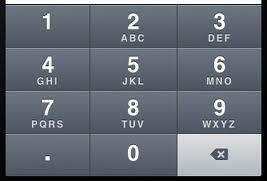 if a phone number is required ensure the numerical keypad shows when numerical form field is activated. To further reduce errors introduce input masks to automatically dismiss any non-numerical input such as a dash, space or full-stop. Make sure the numerical keypad remains active when a user moves between phone number inputs such as area code to main number entry. 4. 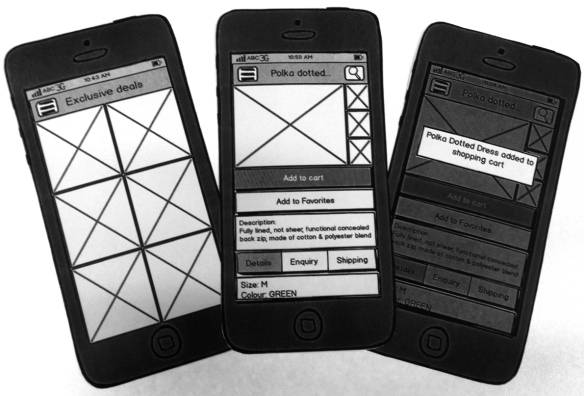 Increase size and vertically align labels Mobile screen sizes are small enough as it is. Consideration needs to be given to the context in which they are used. The size of form fields should be maximised to screen width and kept in a vertical format. By keeping fields vertical you reduce the fixation rate and keep users working in one visual direction. 5. Stop password masking Let’s stop making it harder by showing bullet points when entering passwords. Whilst security concerns have been raised in the past, I’d prefer optimum usability over the minimal security risks, if any. Alternatively, include the option for users to hide password by tapping on a show/hide icon. 6. 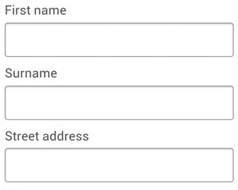 Don’t use Inline Labels Labels placed inside form fields (inline labels) are widespread and often used in mobile design. Inline labels have a place, but be careful where and when they are used. An exception can be for a sign-in form, where a user is performing a familiar task such as username or email address. If the information required is unique or performed infrequently, place labels above each form field so users can identify required information easily. 7. Language Keep it simple and remove the jargon. Consider first time users to your product or service by using succinct informative language. Remember your users might not necessarily be using the same language as internal business and marketing teams. 8. Error Messaging If errors are made, ensure users knows where on the form the error is and how to fix it. Inline validation error messaging can also increase form efficiency letting users know an error is made immediately. Increase accessibility by including an icon (e.g. ‘x’ or ‘!’) as well as red visual elements. This way you’re not dependant on colour in perceiving errors. 9. Reduce requirements Try and minimise the required fields within any form or application. Consider what fields are absolutely necessary and remove the rest. Another way of reducing input for users is to use default information where possible. Information often used such as email addresses and the current date could be selected by default thus giving users one less task to complete. 10. Time and Place Form field requirements also have a time and place, and the placement of requirements can have a significant impact on form completion. Through research sessions conducted in the Objective Digital lab we have seen frustration from users when personal information such as email addresses and phone numbers are being asked for much too early in a form process, resulting in users hesitating and often not continuing with the form process. The thought of marketing or sales teams contacting customers who are simply retrieving quotes or inquiring about services can cause users to hesitate and often exit the process. We welcome Michelle Brandwood, who joins us as Recruiting Manager. Objective Digital’s in-house recruitment agency, Sydney Research Network, lists well over 2000 participants allowing for rapid and efficient recruitment of participants based on demographic and lifestyle segmentation criteria. Recruitment being an in-house activity ensures a rigid process of quality management by ensuring a fresh source of participants for market research; not relying on single existing database.